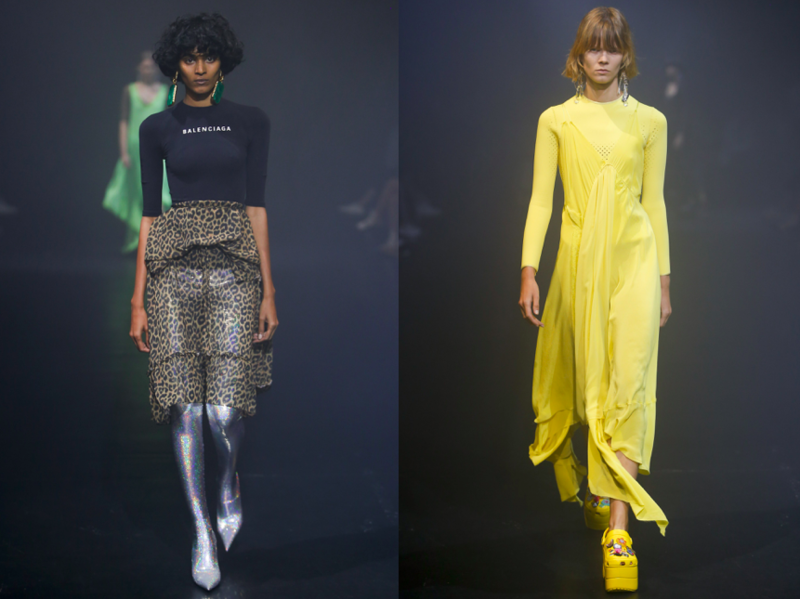 Demna Gvasalia and irony are two synonyms – and you know what I mean, if you’ve seen at least two Vetements collections in your life. 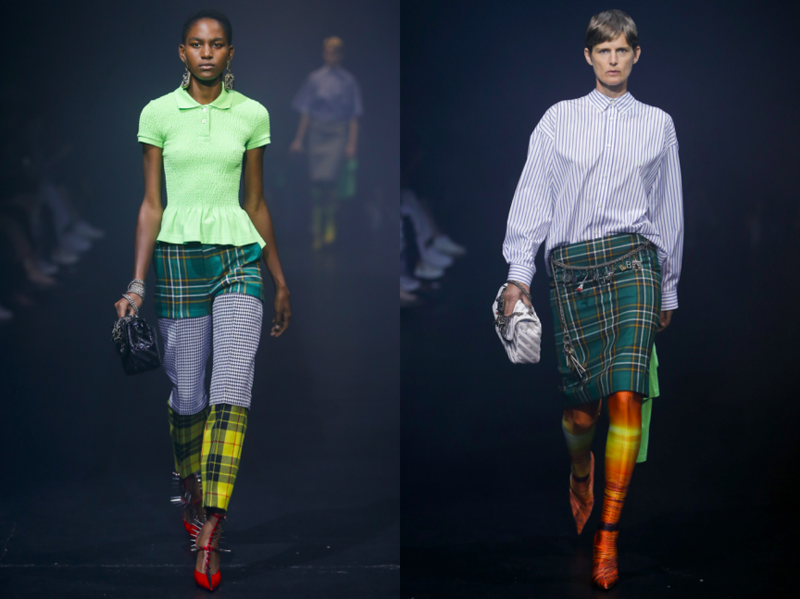 This season, Gvasalia wanted to do more of ‘him’ (that we know from the Zurich-based fashion collective) than dig into the Balenciaga archive. Less Cristobal, more wit and edge, but still with a strong, technical side. Coats with attachable extra sleeves, that in fact can be called a two-in-one at same price; head-to-toe money bill motif all over tea-dresses; charm belts decorated with toruist-friednly Eiffel Tower figurines; peplum tops in pink camo, a combination that sounds and looks so devastating that it’s good. This hilarious collection is a pun topped on another pun. A tongue-in-cheek comment regarding the rush for the senseless, up-and-coming trends. The clash between bad and good taste, being a result of endless street observation of how today’s society dresses. That’s what Gvasalia does best. And it’s even more thrilling to see him doing that very anti-fashion thing at Balenciaga, a fully established brand with stores all over the world. But the list of pieces that catch your eye in this collection is much, much longer. The already cult ‘Knife’ boots kept in a 2000s desktop print (think cheesy sunset or a postcard view of mountains); platform crocs made in collaboration with Crocs (yes like Christopher Kane’s version but wedged heel) in the most killing shade of yellow; reversible ‘rain coats’ for handbags; high-heels covered with studs and lots of tartan checks were clear signs that the designer is having an obsession with the punk subculture. Sadly I am not a sucker for anything Demna-ish. The flaws and oddities aren’t my style but having said that, I think it’s something the superficial world of fashion needs to be ‘wake’ and relate to today’s world. This entry was posted in Paris, Trend Reports and tagged Balenciaga, Demna Gvasalia, paris fashion week, pfw, SS18. Bookmark the permalink.